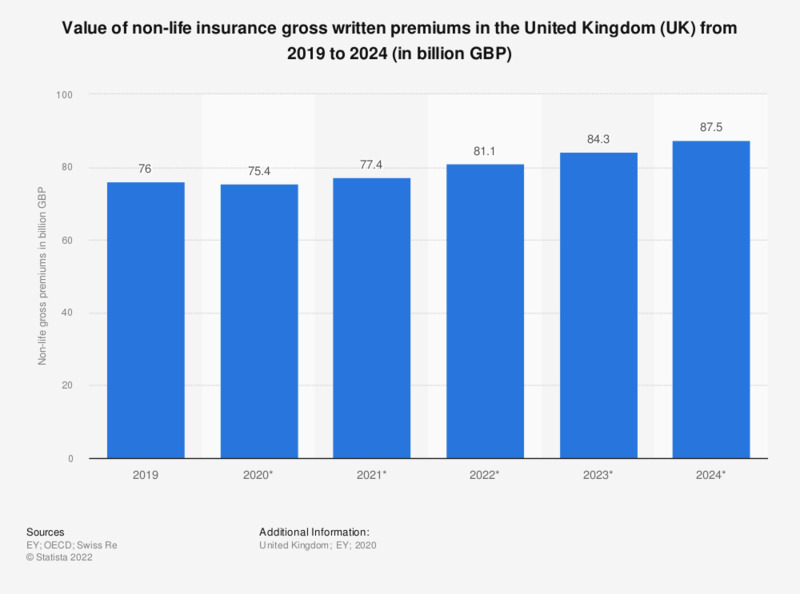 This statistic displays the forecasted value of non-life (general) insurance gross premiums in the United Kingdom (UK) from 2016 to 2021. In 2017 gross premiums of non-life insurance sat at over 59 billion British pounds. It is estimated that gross premiums written in the United Kingdom will rise to 67.5 billion British pounds in 2021. Everything On "Non-life insurance market in the UK" in One Document: Edited and Divided into Handy Chapters. Including Detailed References.